Scourge of Time has several popular runs and a healthy swathe of equipment to be gained. 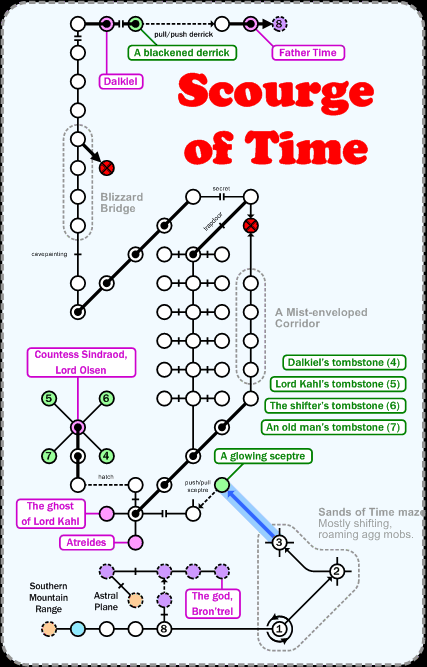 You may wish to read up on the Sands of Time maze if you want to go through it. Walk 8u, n, unlock/open n, n, track Malsangre, say back in time to get from DH to the room marked in blue.